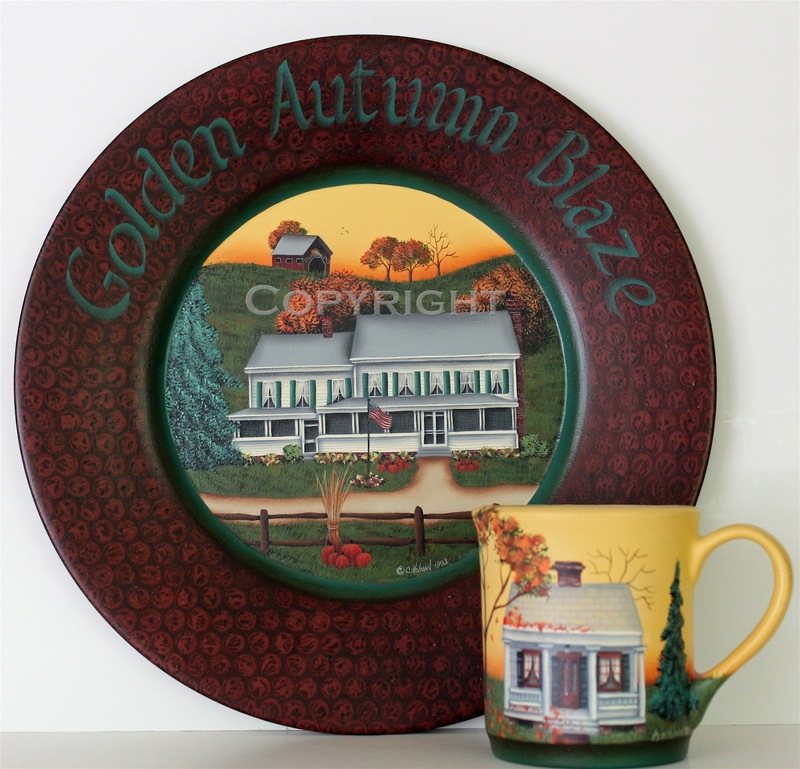 This set of 4 tin plates and 4 stoneware mugs are samples from my first instruction book," The Village of Stoney Point", that I've decided to sell to make more room. I'm listing these all together because I don't want to break up the set. 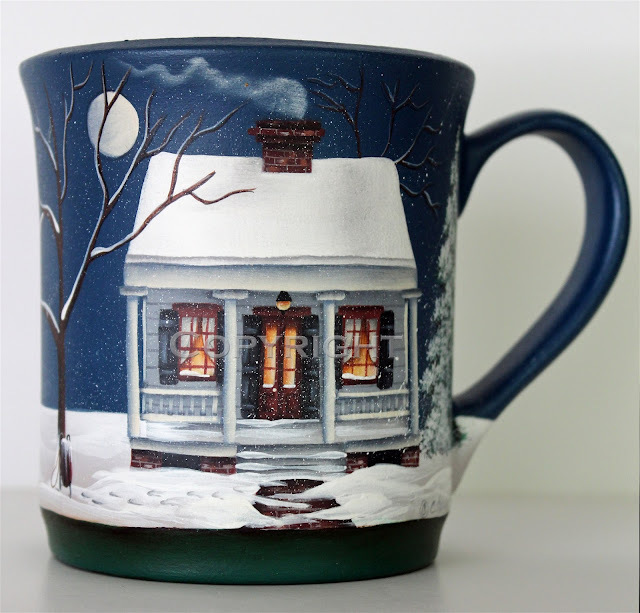 There is a different scene on each plate , but the same house on each mug changing through the season. Thanks to every one of you for reading my blog and below is a free recipe card just for you! I love reading all your comments. I'm not sure if you've noticed in my comment section there is a place for replies. I haven't tried using it much because I wasn't sure if you receive a notice when I reply back. I'm going to give it a try starting today. If you leave a comment, I will replay back directly in the comment section, and would appreciate it if you would let me know if they whoever they are notify you that there is a reply. 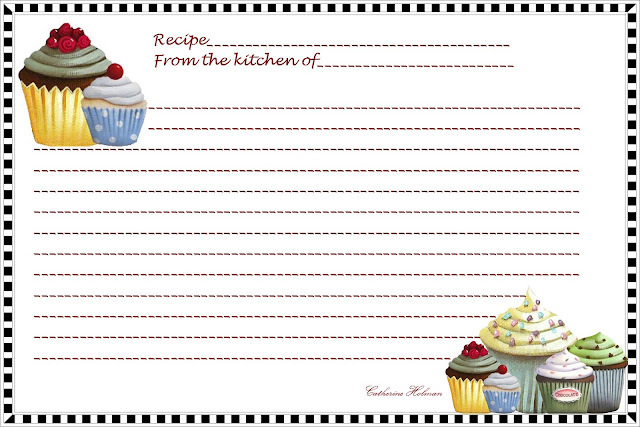 You can print this recipe card as a 4 x 6 photo on an index card. You're welcome Comeca. Would you reply here again if you get a notice of my reply? Thanks! Oh yes, I am snagging the recipe card and how. 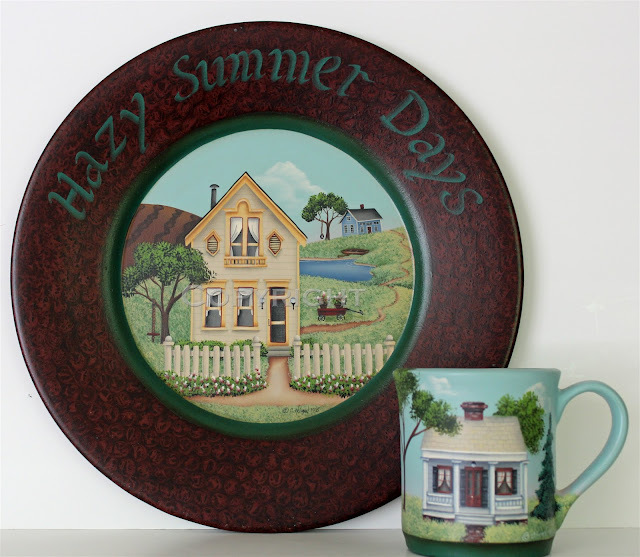 The plates and mugs are wonderful. 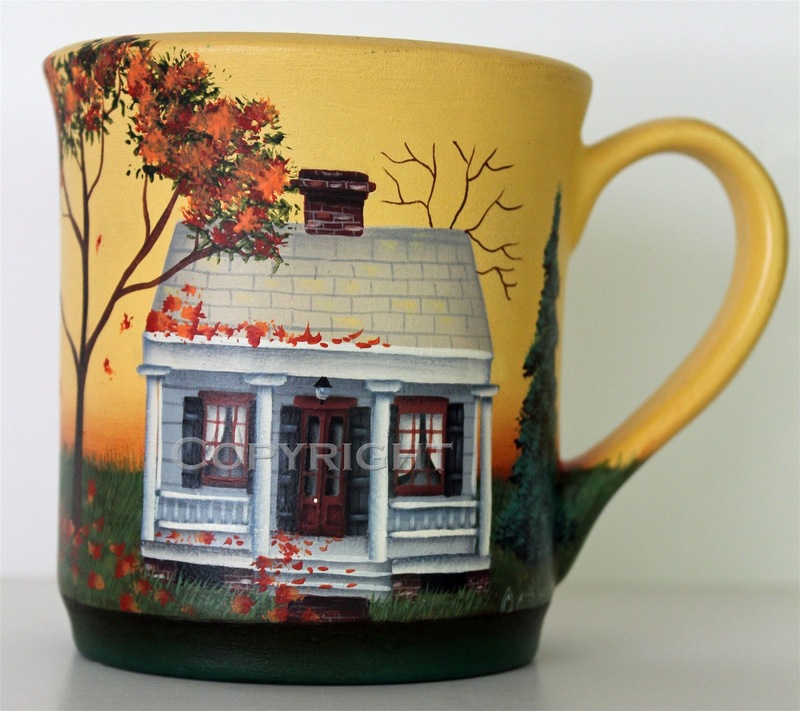 I love the continuity of the little house on the mug through the seasons. I'll let you know if your comment comes through, though it's been my experience that it does not so your commenter will never know unless s/he returns to read it here. We'll see! I love an experiment. Thanks Vee! This reply section came with my blog format and I was just wondering how user friendly it is. Would you mind letting me know if you get a message informing you know that you have a reply? Thanks! Sorry about the typos. My mind is shot today. 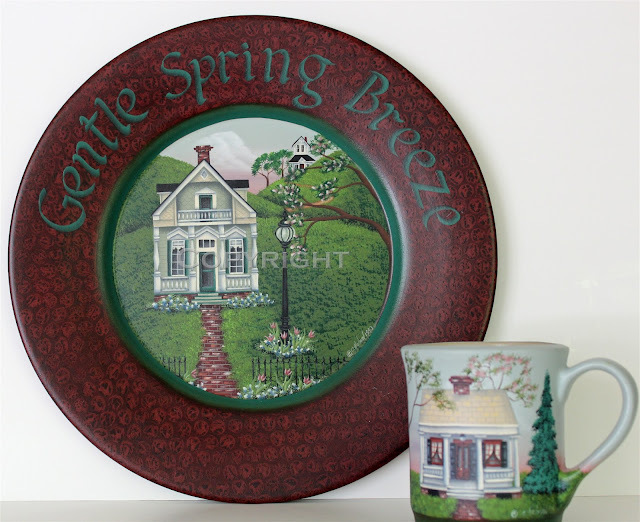 Those plates and mugs are wonderful! I am sure they will sell very fast. Love your recipe card too. Oh my goodness Catherine you are so blessed with talent! Wow! Just gorgeous. I have a praise in that our home has officially sold. I now have just 32 to days to find a home, pack and move. A little pressure? :) We put a bid on a home yesterday that will give "The Money Pit" a run for it's money. I wanted to let you know that I so appreciate all of your support and kind comments and if I am absent the next few weeks from your blog please know I will return soon. For whomever you nurture, have a happy and blessed Mother's Day. I love these, Catherine. 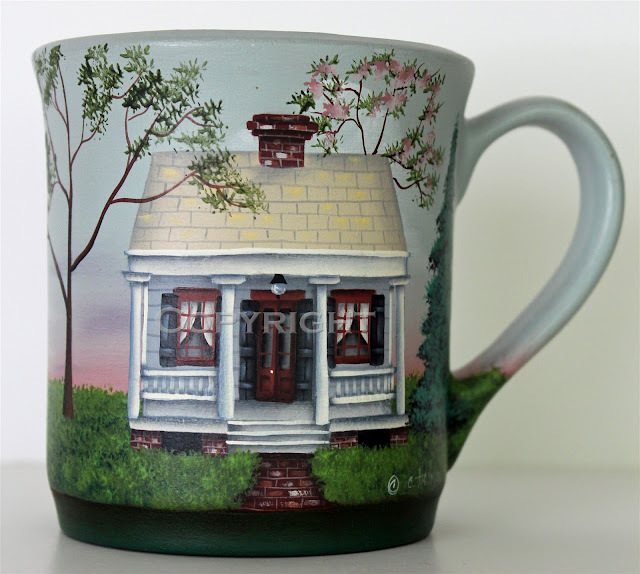 Every painting and every blog post of yours just brings an instand smile to my face, and my day is that much brighter. These will sell very well on Etsy and ebay, of that I've no doubt. Thanks for sharing - and for the lovely recipe card printable, too. 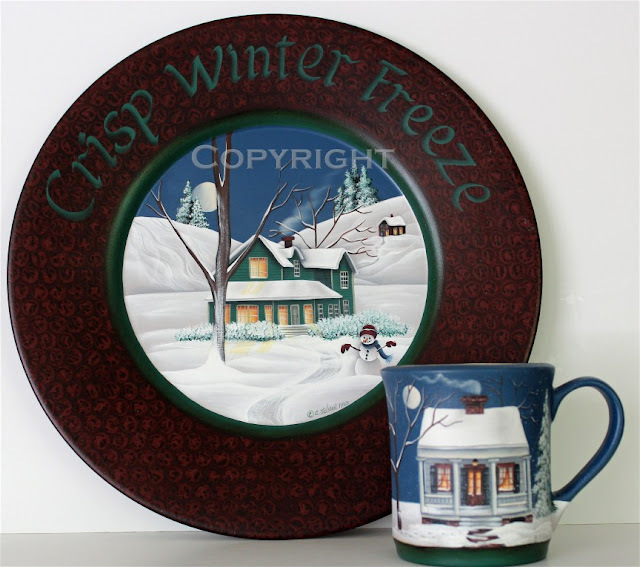 Amazing pieces Cathie! 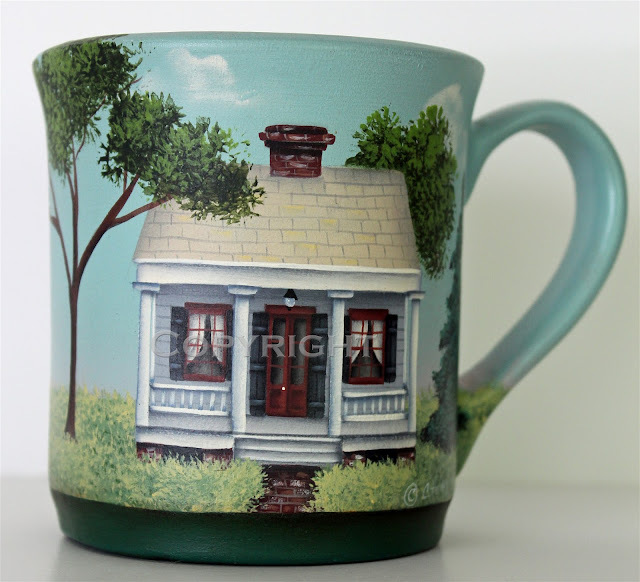 The detail you include in each and every one truly shows your love for painting! Oh, I love the recipe card! Thanks! Love, Love, Love the pieces...of course when have I not loved anything that you make or paint. (: Thanks for the wonderful recipe card.